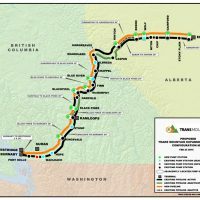 According to an report by the Parliamentary Budget Officer released Thursday morning if the pipeline reaches a full year in delays the resale value of the project will drop a staggering $693 million dollars and a spike in construction costs by just 10 percent would increase costs by $453 million. The new findings come to light after the ongoing delays and the governments refusal to set a timeline to end talks with Indigenous stakeholders. “The main risks are construction delays and increased construction costs because the assumptions that we based our report on are … before negative decisions from the court and before the stronger opposition from certain groups,” said Yves Giroux, parliamentary budget officer. Yves also added that the government may have paid more than the pipeline is worth when the bought it last year for 4.5 billion. The initial evaluation of the pipeline pegged it at 3.6-4.6 billion however no construction costs were taken into account which now could cost around 9 billion more, meaning the total cost to taxpayers is actually around 14 billion. completion was originally supposed to be December 2020 however due to negotiations, consultations and protests it’s being pushed closer to December of 2022.